This Thanksgiving Preschool Pack is a fun Preschool and Kindergarten free printable activity for kids to do. A warm holiday when the whole family gathers… I do hope your kids will enjoy these Thanksgiving activity sheets (they are perfect for preschool and kindergarten). 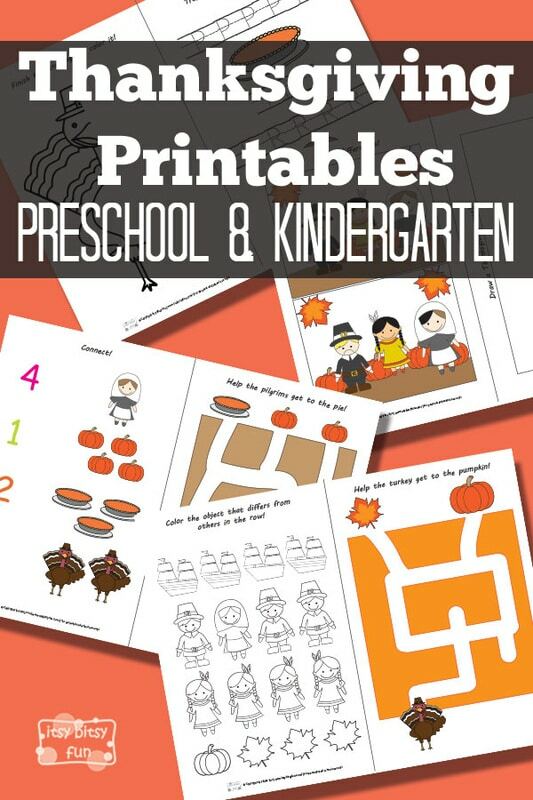 These preschool printbales are super fun to solve and a great way to keep the kids busy while you are preparing all that super delicious food! 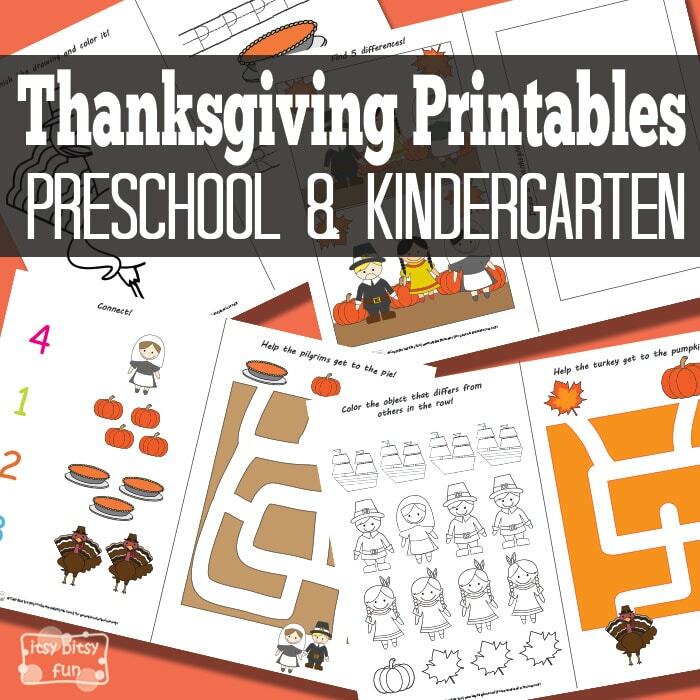 Thanksgiving Themed Preschool and Kindergarten Printables. 1 page where kids have to finish a drawing of a turkey and color it. 1 page with simple counting activities. 1 page with tracing the letter P and R .
1 page with spotting the 5 differences. 1 page here they will have to draw their Thanksgiving meal. There! I think your kids will have lots of fun with these (while also working on some super important developmental skills). Get this free printable Thanksgiving Printable Preschool Learning Set here.